Ever wonder which countries export the most aircraft? The United States is the top exporter of Planes, Helicopters, and/or Spacecraft, and Aircraft Parts followed by France, Germany, UK and Canada. 12 states in the US have airplanes and airplane components as their most valuable export. The Aerospace Industry is one of the most powerful industries in the United States. It encompasses a worldwide complex of manufacturers who produce airplanes, helicopters, military aircraft, missiles, rockets, spacecraft and satellites. 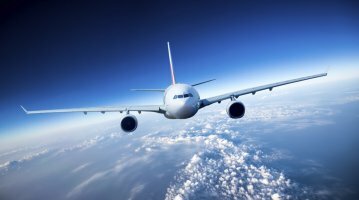 These manufacturers employ a vast number of supplier firms that make a variety of products ranging from avionics and hydraulic systems to rubber gaskets and adhesives. Export Portal powers your international company by providing trade leads that help Airplane importers and exporters to develop buyer seller relationships. Join Export Portal to source products, research industries, search Airplane Import Export trade leads and transact business at competitive prices. Airplane exporters list products free.